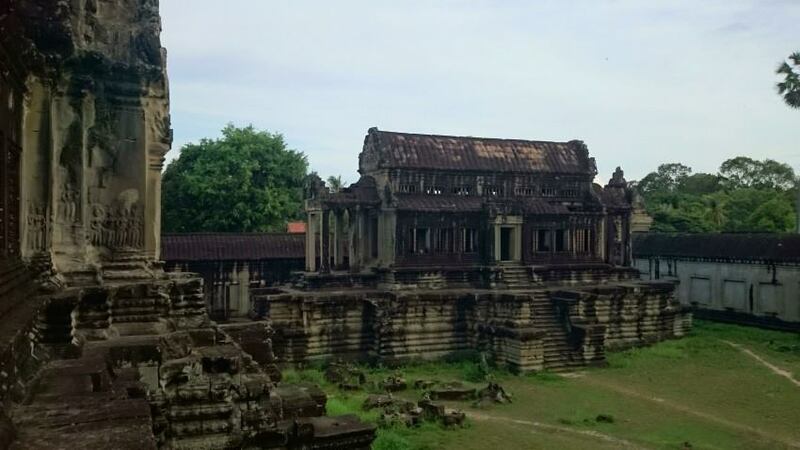 Have some new explode when travel to Cambodia. 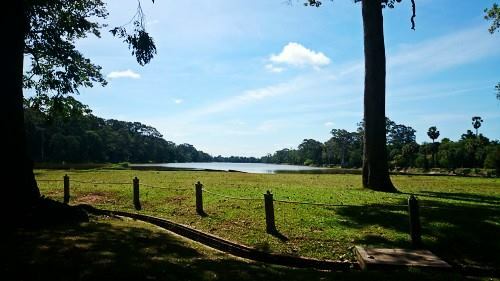 This time plan to cycle around Angkor Wat due to the bicycle rental is cheap for a day. 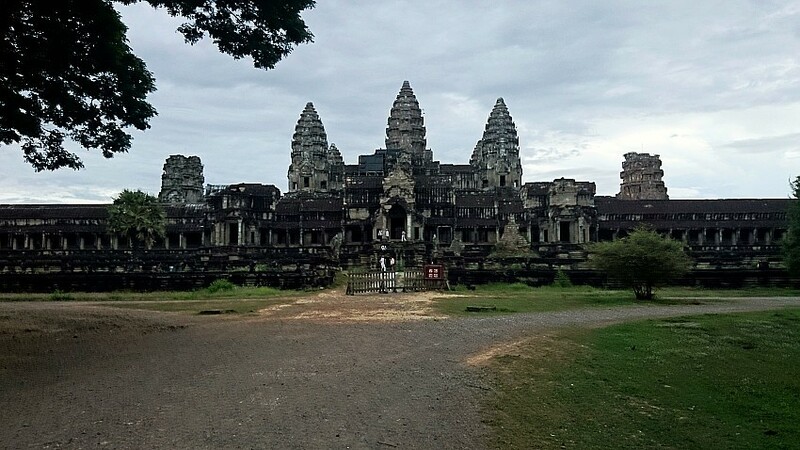 It only cost about $1 from 5am - 9pm. 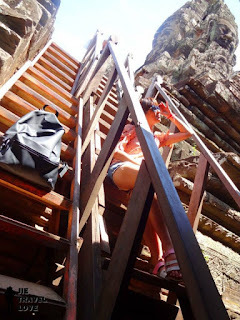 Cycle to Angkor Wat is not hard nor easy. 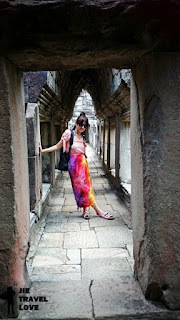 Say far but not far also. 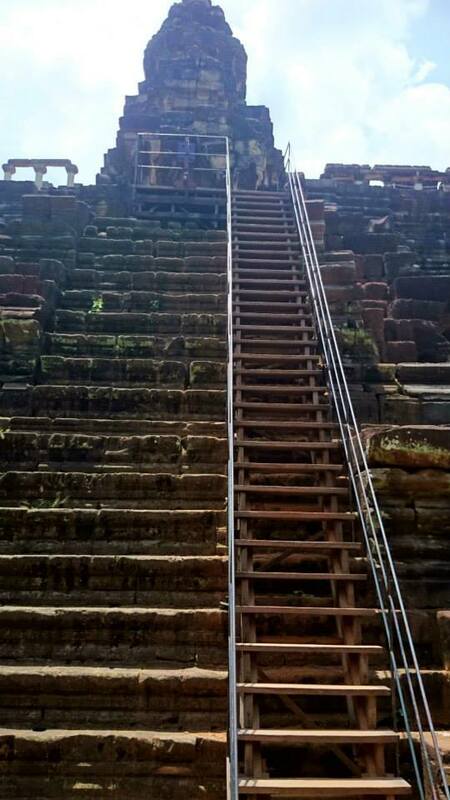 It need alot of time and strength. 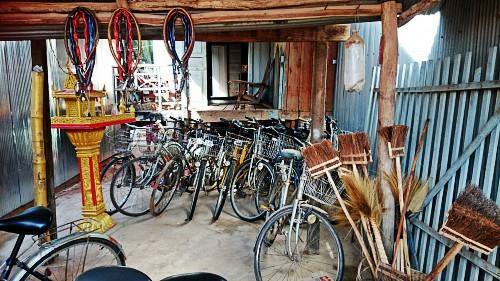 So need to be prepare if you plan to cycle around Angkor Wat. 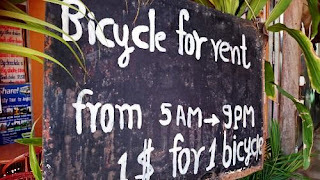 5am - 9pm $1 for 1 bicycle. 如果来到吴哥不妨试试脚车游（如果时间多的话~因为不可能一天脚车游能游完整个吴哥!）从Pub street骑到吴哥售票处只要沿着路直直骑去就到 (7-8km，大约一小时 ) ~ 这里的每票分三种. 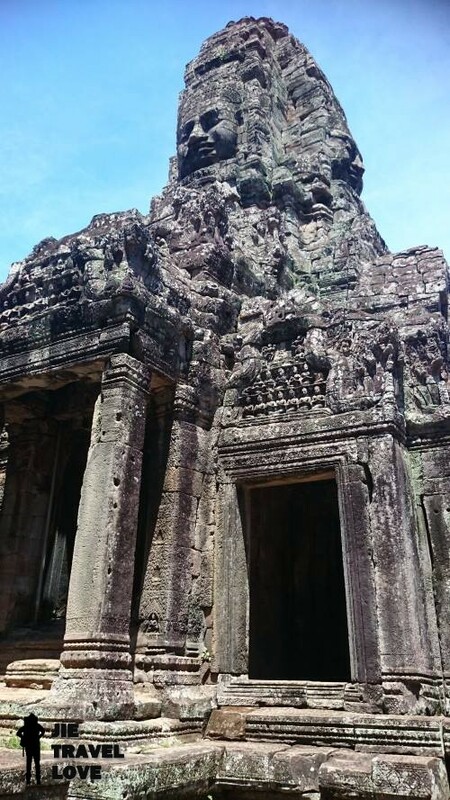 一日游 （$ 20），3日游 （$ 40 ）可在一星期里面用， 与 7日有（$ 60）可在一个月里面用. 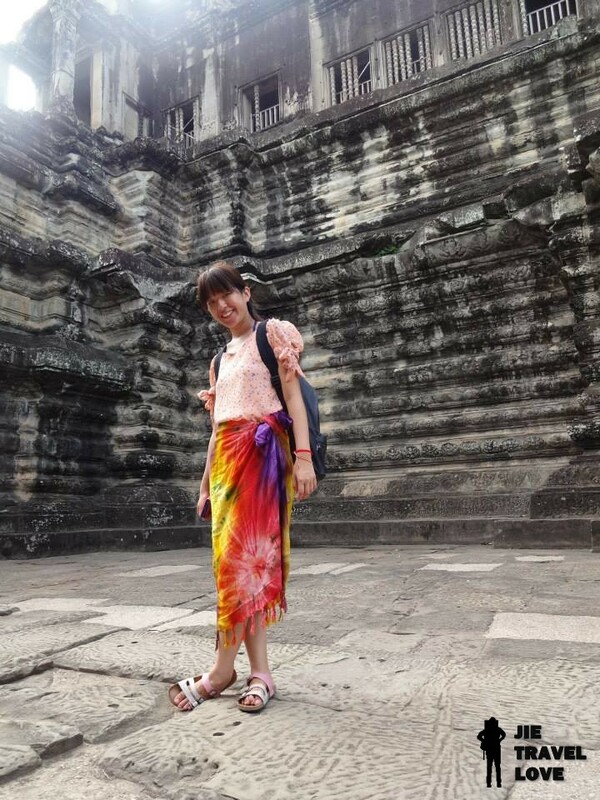 我买了三日游， 但只去了两天，浪费了一天. 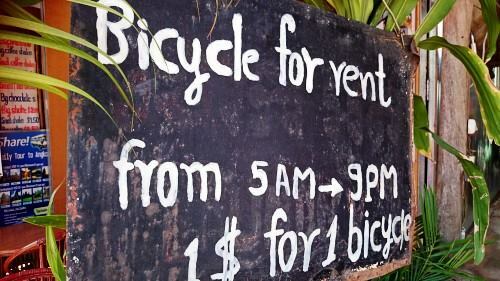 I rent the bicycle near my hostel and cycle from pub street to Angkor Wat. Just cycle straight and you will see the entrance (Ticket sales) at your right side. 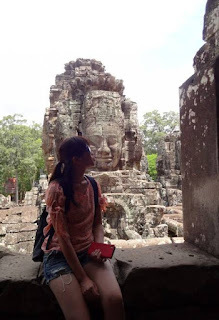 There have 3 type of ticket which are 1 day pass costs $ 20, 3 days pass cost $ 40 (can visit 3 days or times in one week period) and 7 days pass costs $ 60 (can visit 7 days or times in one month period). 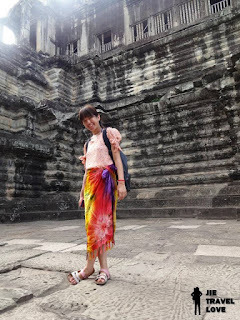 I have buy a 3 dat pass which cast me $40. 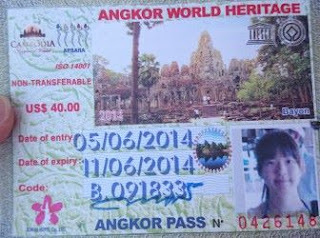 3 Day Pass with my ugly picture. 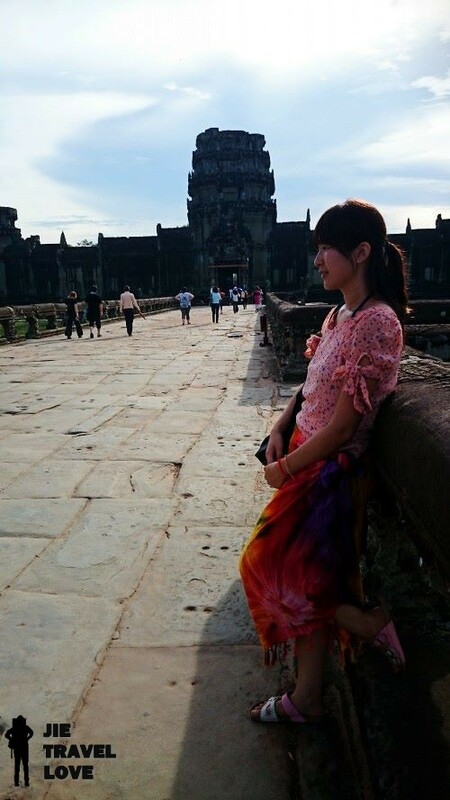 After buy entrance ticket, It's time to explode Angkor Wat. 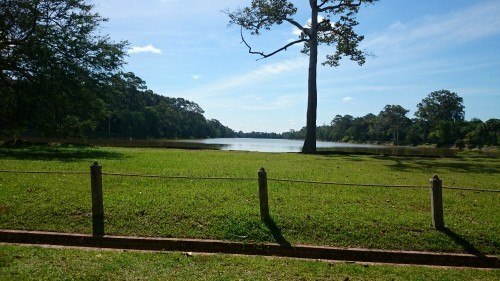 Cycle around 10 min straight you will see a lake infront of you. 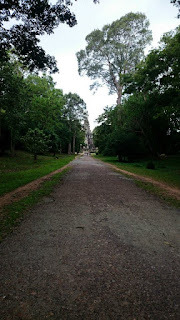 Then turn left and cycle pass the Angkor Thom South Gate. Cycle straight again you will reach Angkor Thom. 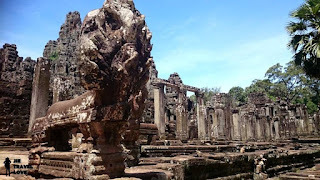 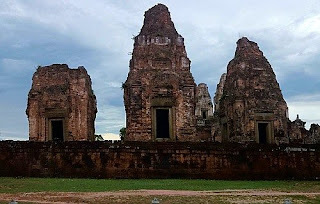 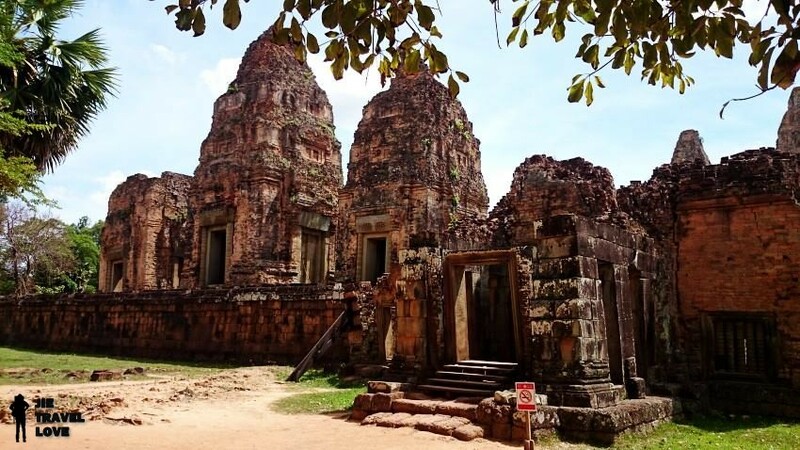 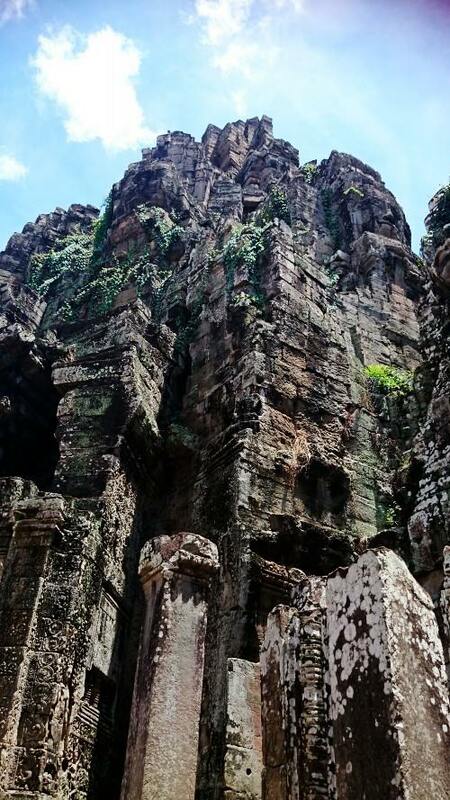 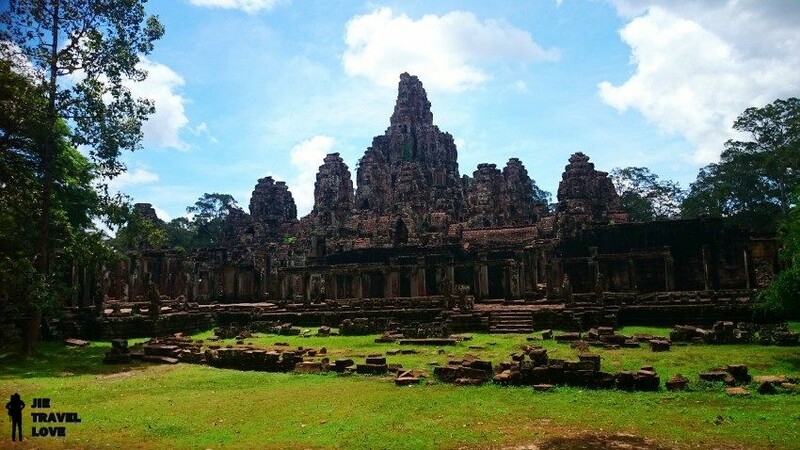 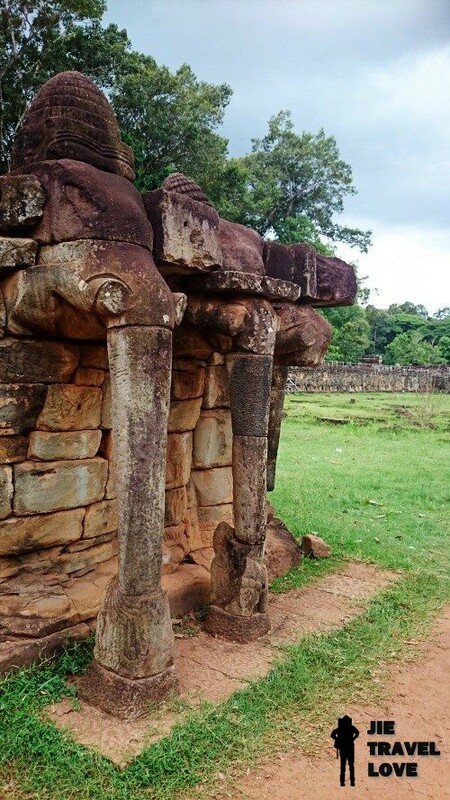 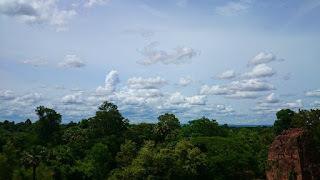 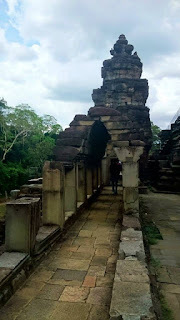 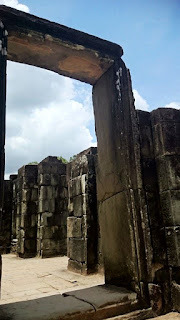 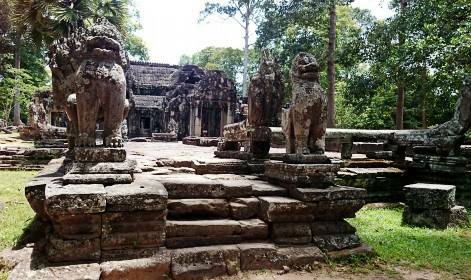 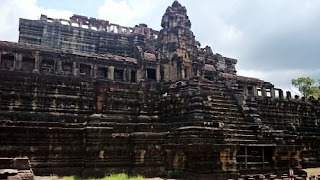 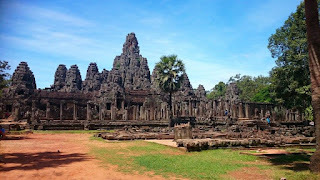 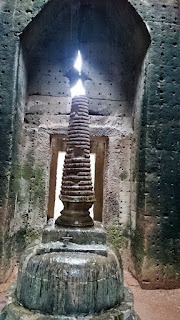 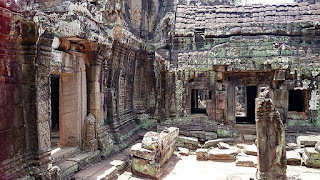 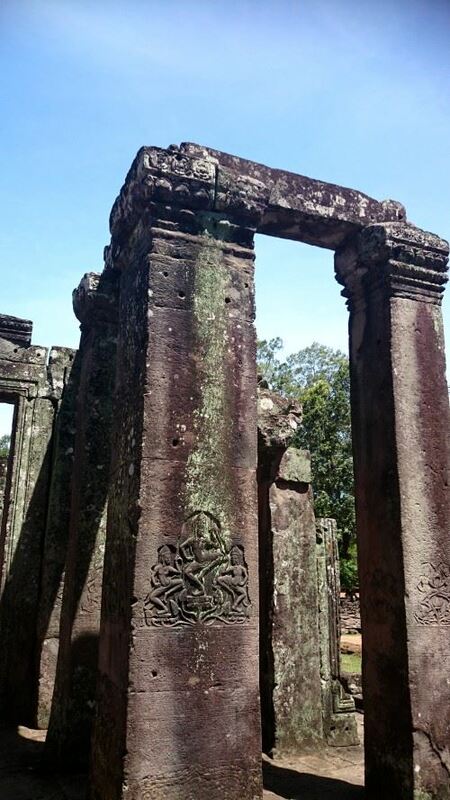 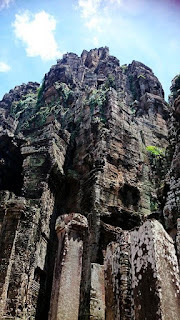 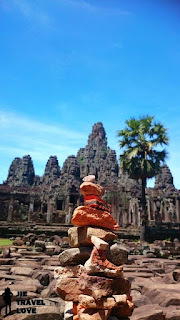 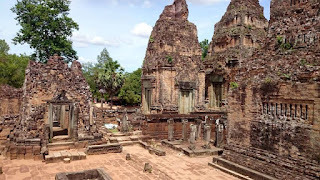 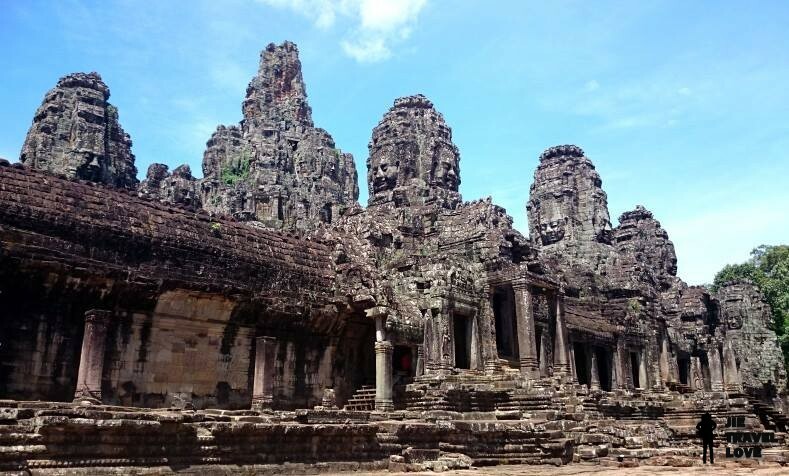 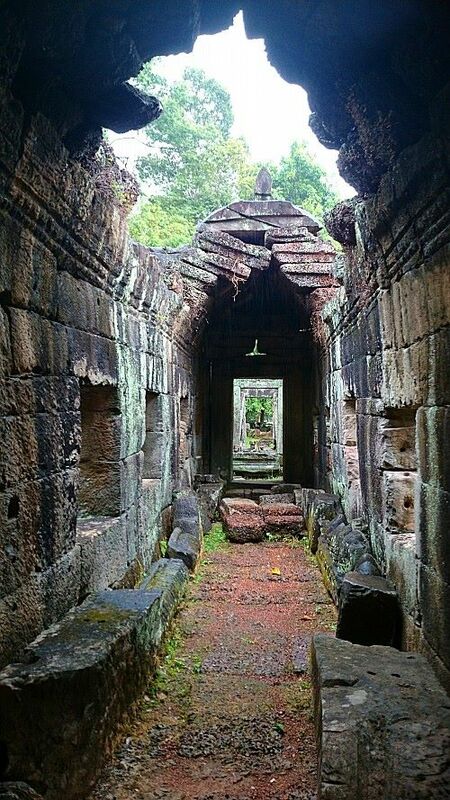 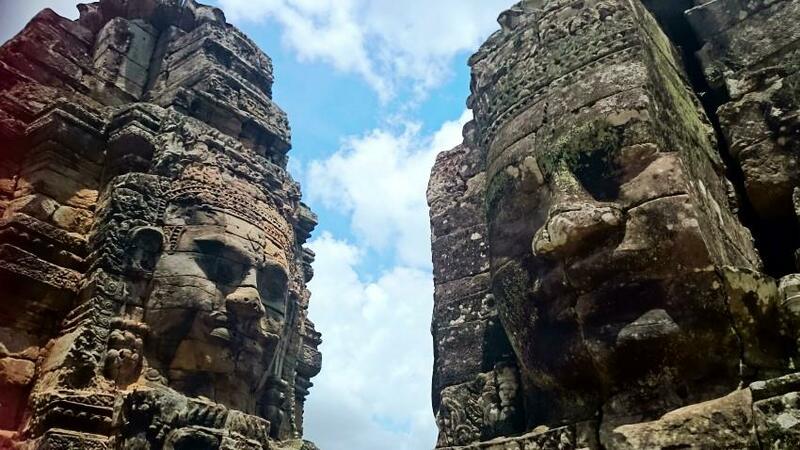 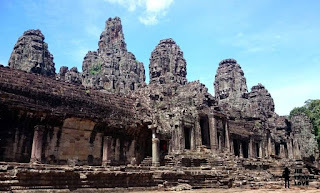 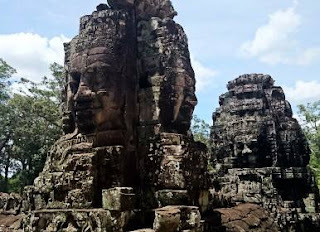 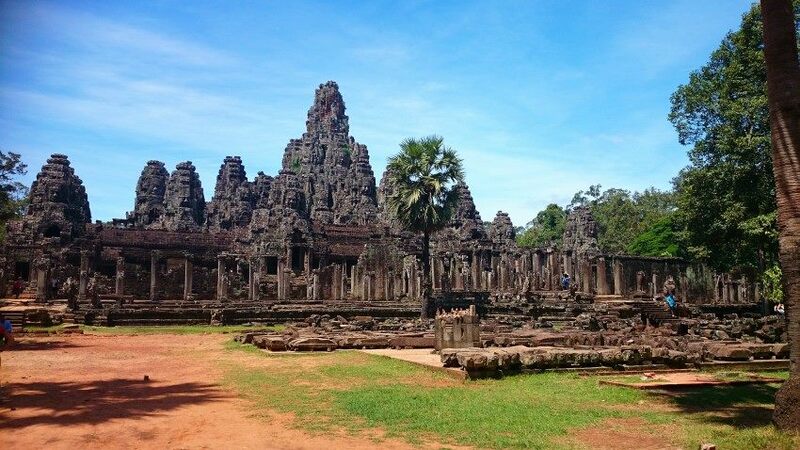 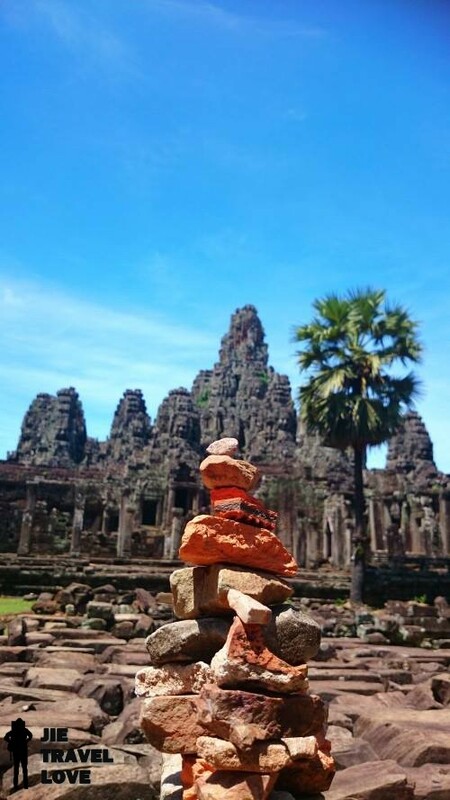 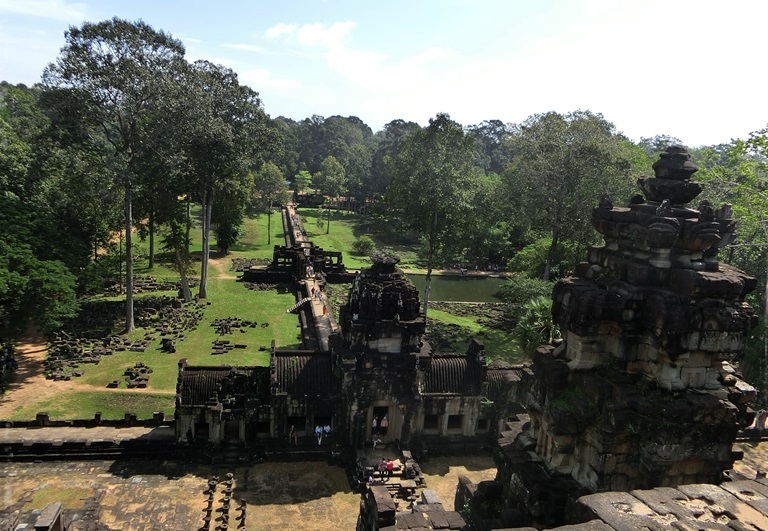 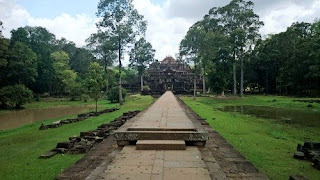 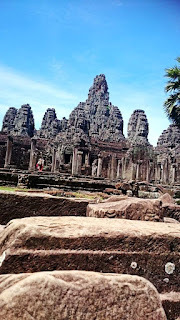 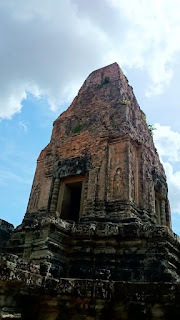 Here have many place to visit once you stop at Angkor Thom. 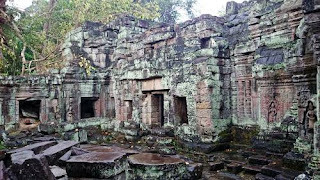 Such as, Thommanon, Bayon, Bapuon, Phimeanakas, Elephant Terrance, Prasats Suor Prat and Terrance of Leper King all around Angkor Thom. 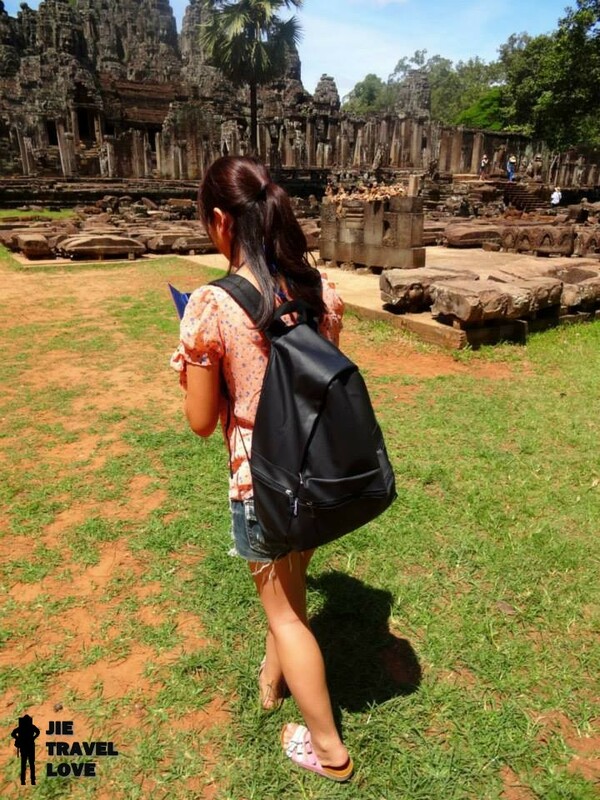 Need to do some angkor study due to no tour guide. 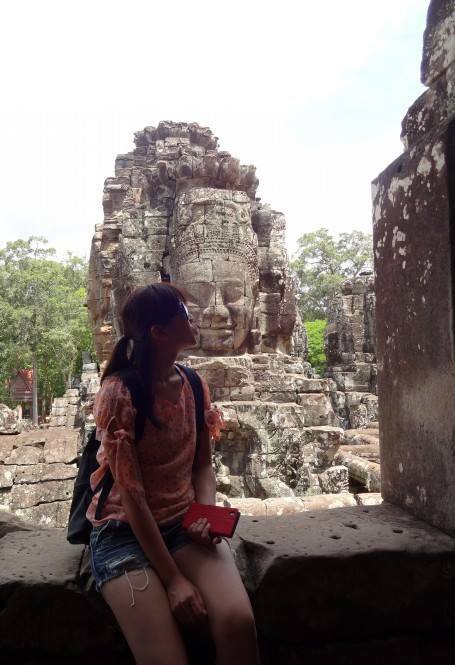 Since you smile, So I kiss. 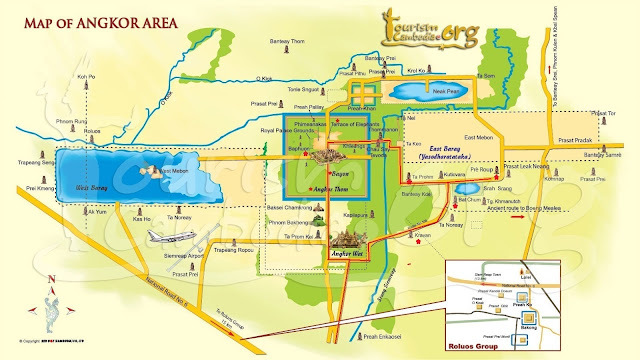 Walk a few min, you will reach Elephants Terrace. 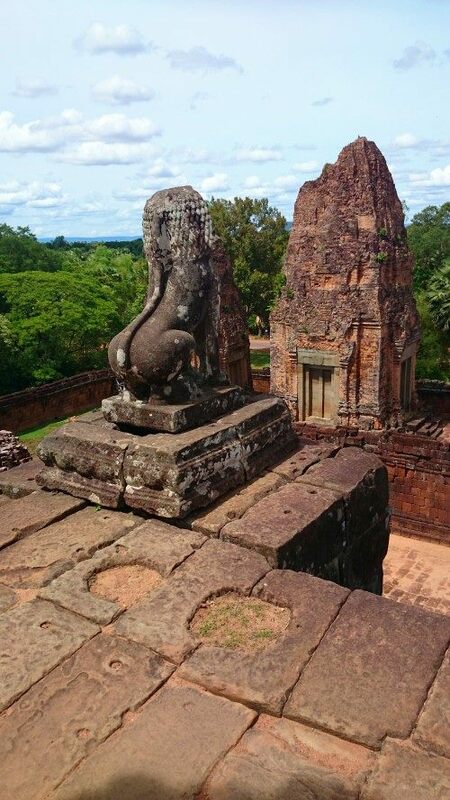 Didnt take much photo, only a few picture because the elephant almost gone. 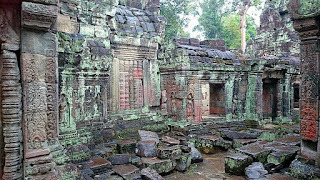 All being renovate. 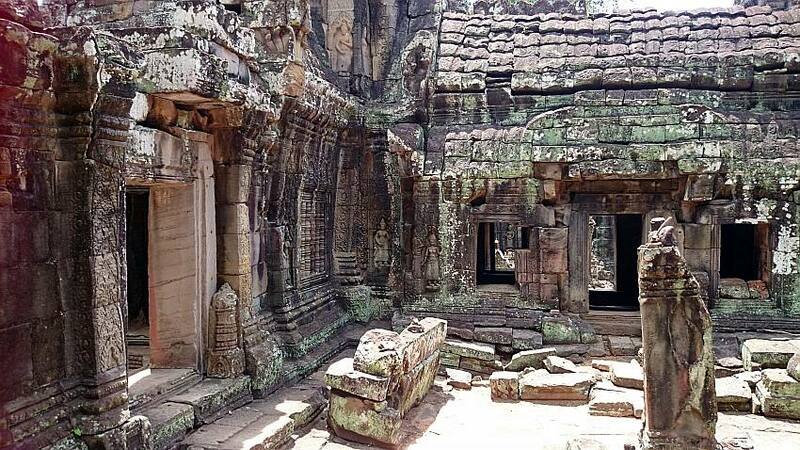 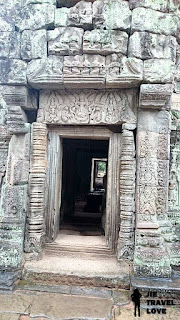 观光完 Angkor Thom，是时候开始骑到 Ta Prohm 塔普伦庙去看看古树。 知名电影 <<古墓奇兵>>在这里取景哦! Angelina Jolie 在这里拍戏! 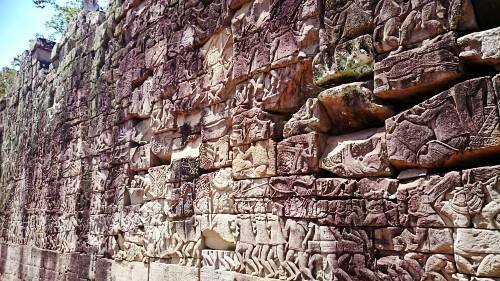 After finished walk around Angkor Thom, is time to start my cycle tour to Ta Prohm around (30 min). 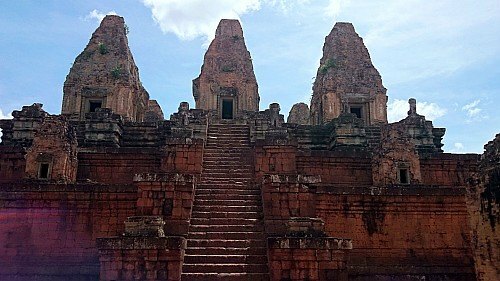 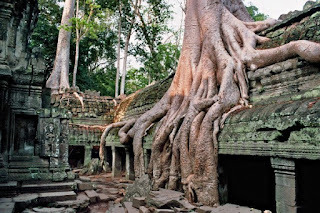 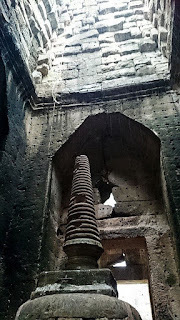 This place is popular due to the movie << Tomb Raider - Angelina Jolie >> . 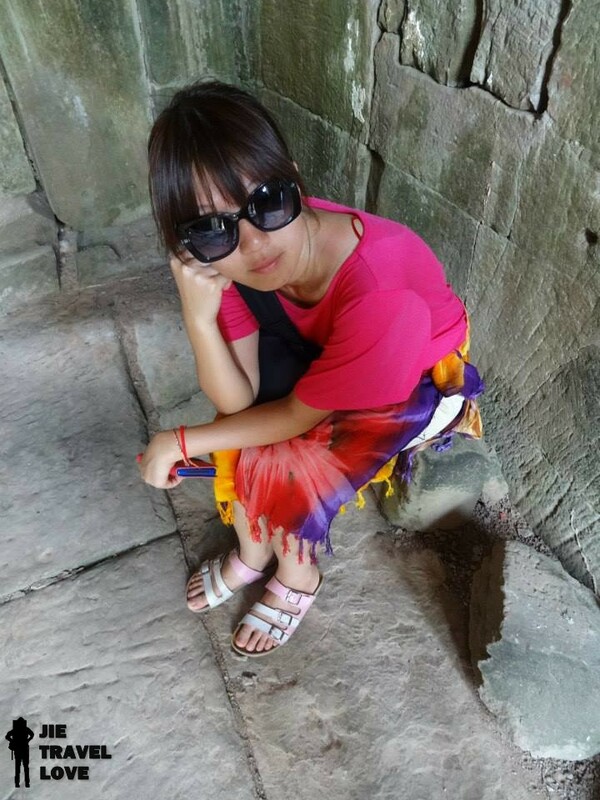 Tired and have some rest looking at the tree. This tree is so popular now! 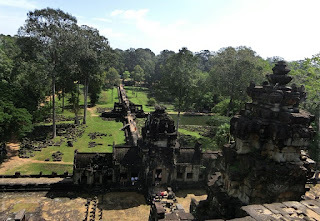 然后想要骑去Angkor Wat, 在骑回来的路程会经过Srah Srang 大概（10 分钟）. 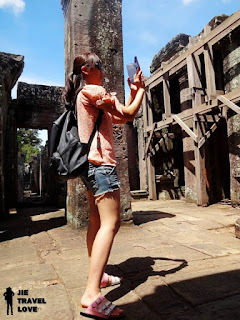 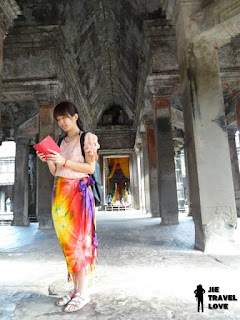 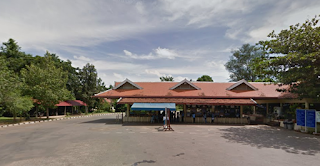 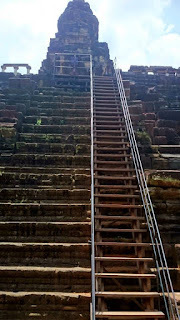 然后是 Prasat Bat Chum 巴琼寺 (20 min)， 再来是Prasat Kravan荳蔻寺 (30 min) 才到Angkor Wat (45 min). To cycle back from Pre Roup to Angkor Wat. 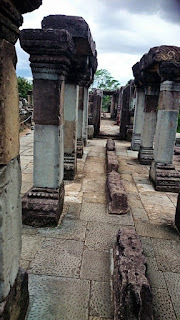 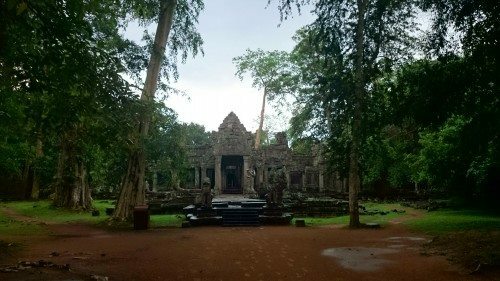 You need to pass by Srah Srang (10 min) > Prasat Bat Chum (20 min) > Prasat Kravan (30 min) > then only reach Angkor Wat (45 min) . 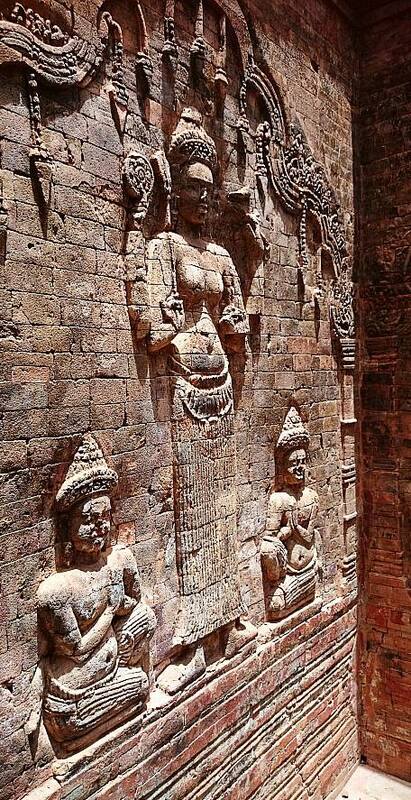 这里的建筑物很让我惊叹!! 以前人的一点一滴心血换来的是如此的值得留恋! 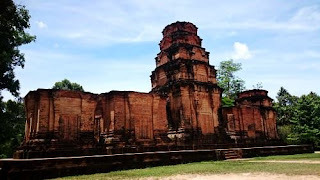 如果想要脚踏车游吴哥，建议2 天游（我是这样游的）. 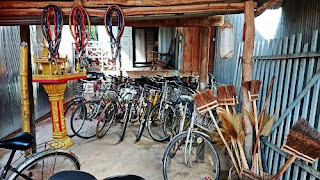 不过没有走到完~ 只是去几个靠近的地方罢了! 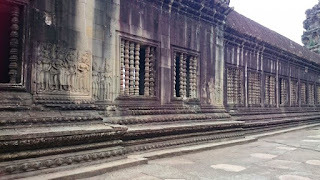 Impress by the building at here so much!! 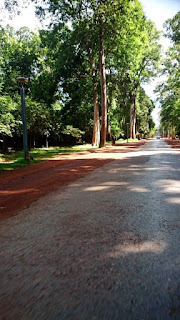 Recommended 2 day cycle around Angkor Wat (I have done it in 2 day). 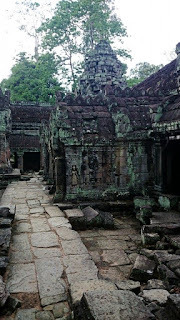 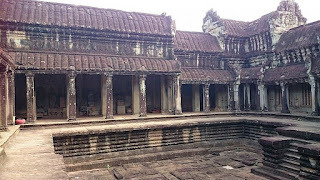 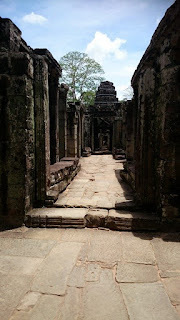 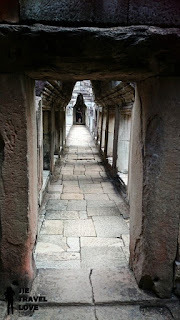 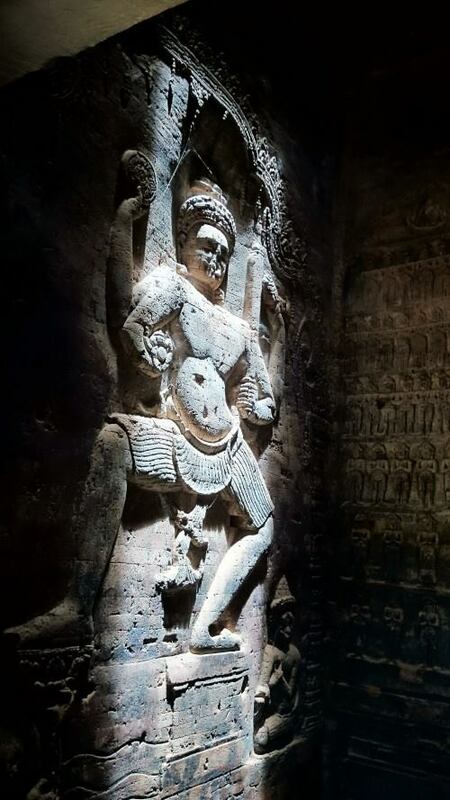 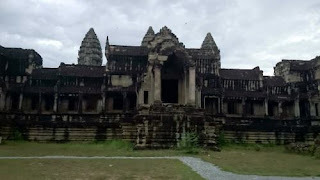 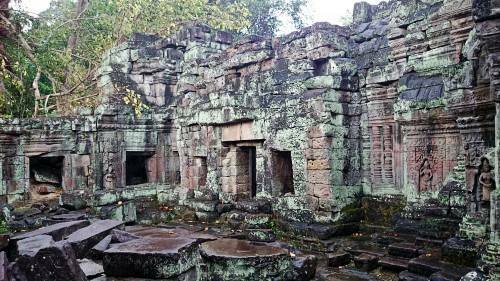 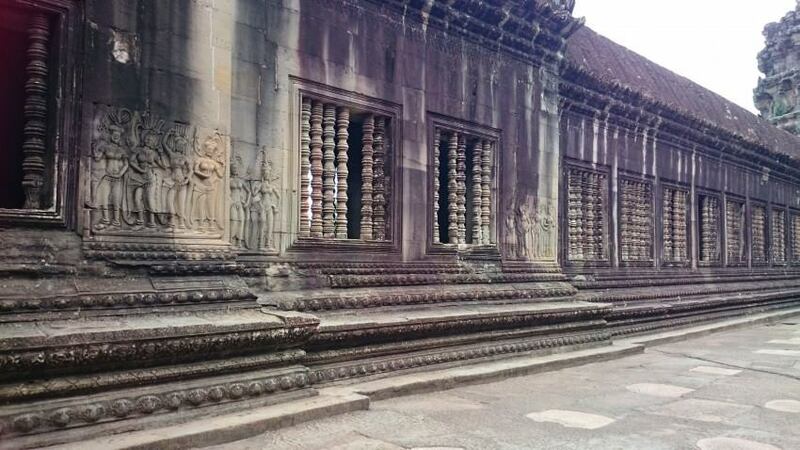 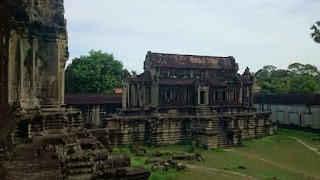 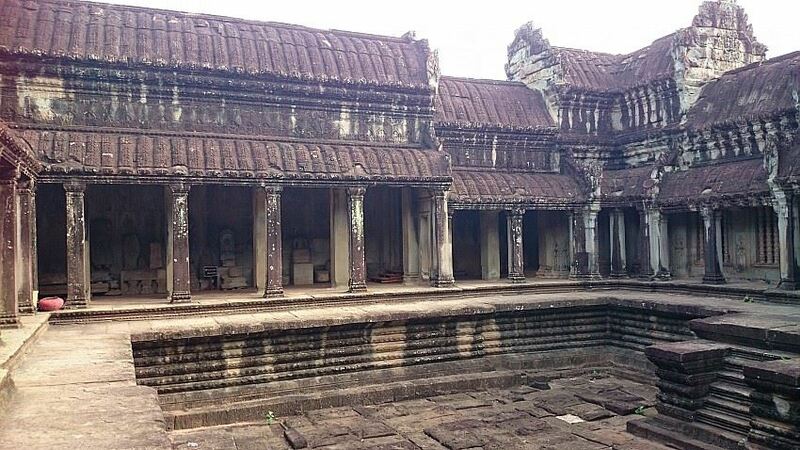 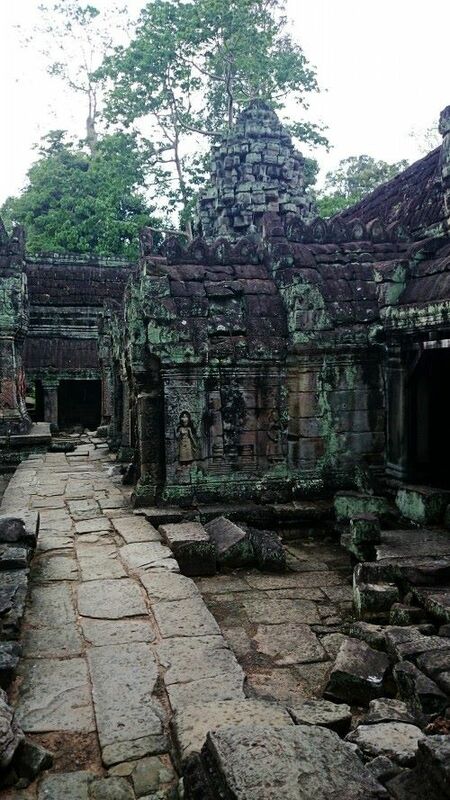 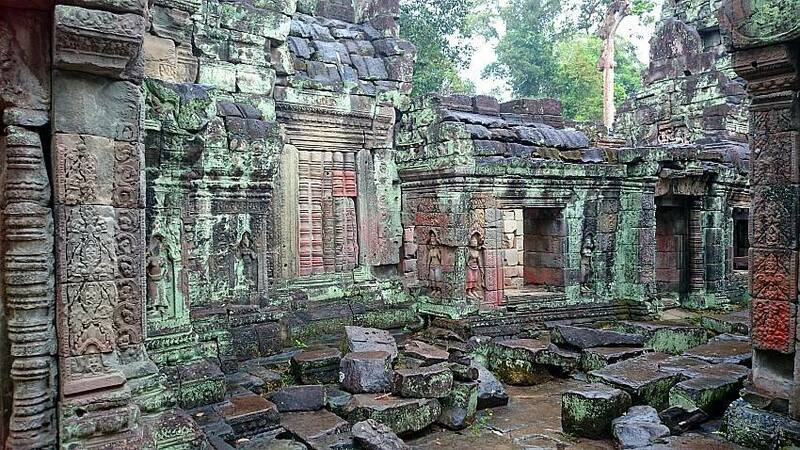 But did not visit all, just few places around Angkor Wat. 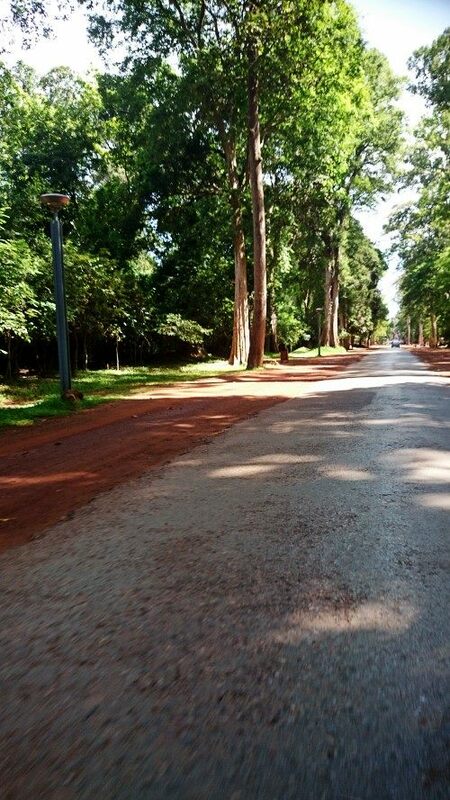 Bur before coming, please train abit, if not you will feel tired.